Woods-N-Water is comprised of approximately 5,500 acres of private property that is primed for an unforgettable outdoor adventure. Not only can we take you on a trophy whitetail deer hunt or wild turkey hunt but we can also take you on a wild hog hunt or a trophy bass trip. Few things are as exhilarating as embarking on wild boar and wild hog hunting adventures in the woods of Georgia. Woods-N-Water can show you the way, thanks to our unique hunting packages. All of our hunting packages are fair chase hunts meaning we have no high fencing. Also, we do not charge any trophy fees. We also offer fishing packages on our privately owned lakes that we manage for trophy bass. Whether you’re an avid angler or a novice one, our fishing packages will surely be enjoyable! We operate two lodging facilities. 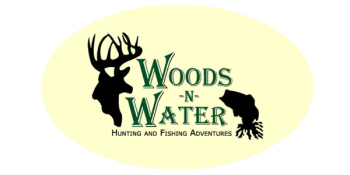 Woods-N-Water Lodge outside of Wrightsville, GA and new for 2017 Woods-N-Water Plantation outside of Irwinton, GA. Both are approximately 2 ½ hours south of Atlanta. If you would like more information, or if you would like to make a reservation, please contact us today.